On Students For Liberty’s blog I recently wrote an article on California’s water crisis where I explain how water markets are not to blame for the water shortage and that if California really wants to end the water crisis, it must change the institutions governing water management and encourage an open water market. 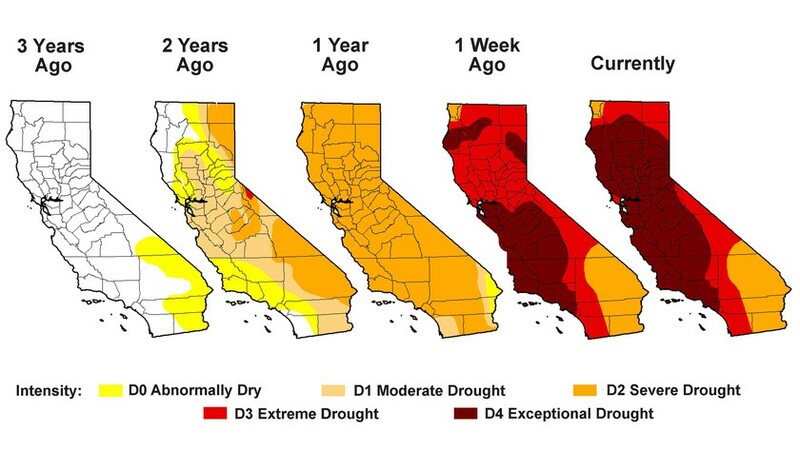 While I do not expect California’s legislators to come to me for advice, it seems that they have already jumped the gun on the ‘solution’ to the water crisis. Rather than addressing the problem of subsidized water prices, the current water rights system, farmers accounting for 80% of water consumption, or the horrifically outdated irrigation systems used by farmers, California’s regulators believe using ‘mandates’ on water consumption by citizens and urban businesses will suffice. Notice the exclusion of farmers from the mandate? This is because California’s regulators decided unilaterally that the agricultural sector “have been hard hit already.” Regardless if regulators made the decision out of true ignorance or because of the powerful influence of the agriculture lobby, the results of the mandate will be the same: unsuccessful. Mandates are not long-term solution to California’s crisis, but by excluding the largest consumers of water, regulators have doomed any chance of mitigating the current crisis. By refusing to create long-term solutions, California’s government plays god with the environment. By ignoring the true costs of water’s sustainability, delivery, and scarcity, California’s residents will only continue to abuse the resource. Clearly pushed to its limit, the hydrological cycle cannot continue to sustain the current rate of consumption. Only time will tell how this whole scenario will end. 18 y.o. Male Missouri, USA I like reading history, philosophy, literature, and other things that often make people snore. This entry was posted in Economics, Politics, Regulation and tagged Agriculture, California, Farming, Lobbying, Water. Bookmark the permalink. As a non-Profit Organisation, we have created a Project to help in the fight against global water challenges. This we called “Water is Life” Project. Blog about it and encourage your friends and contacts to donate to this Project at our online fundraising campaigns @ http://igg.me/at/wislife/x/10990575 … ‪#‎indiegogo‬ and http://waterislife.causevox.com/, thank you. I’ll be sure to mention this and post the urls in my next Lacking Links article, Thanks for reading! way of him as no one else realize such particular approximately my problem.